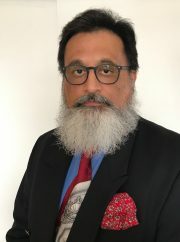 Mr. Saggu (Information & Computing Systems Consultant) is a graduate in Computer Science from the United Kingdom and brings forth an almost 30 years of experience in computing information systems and infrastructure setup and management both in the corporate and retail spheres. He is also an entrepreneur, with a focus in the last several years to build and run medical practice offices. Apart from his experience in the UK on Wang’s mini to mid-range mainframe hardware systems and systems/applications software, he has worked here in the GTA on various back-end database and front-end applications for reservations systems and hospital/clinic patient records systems. For the past couple of decades, Mr. Saggu has concentrated in the deployment and management of end-to-end IT infrastructure in corporate, medical/dental and industrial sectors. 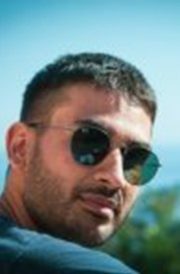 Mr. Jutla (Web, e-Commerce, Marketing & Coding Consultant) is a graduate in Mathematics from the United Kingdom and is based in France and Switzerland. 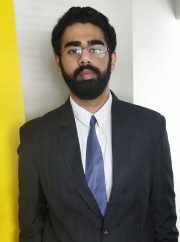 He has over 10 years experience in website design, and online marketing, including set up of e-commerce solutions. In addition, Mr. Jutla has over 5 years experience as an ISO Manager in the Medical Device Industry. 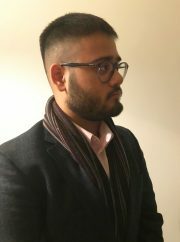 Mr. Singh (Wireless & Computing Systems Consultant) is a graduate Electronics and Communications Engineer and a post-graduate in Wireless Technologies. He has experience in various networking and communications technologies. Mr. Singh has a sound knowledge in MySQL, HTML, C, MS Office, Cisco packet tracer, VMware, and Wireshark. He has studied networking concepts such as DNS, TCP/IP, DHCP, HTTP, and the OSI model and is currently pursuing projects utilizing WordPress and CSS. Khushwant (Technical Support Intern/Consultant) is a high school graduate pursuing further studies towards commerce & law degrees. He has technical support/troubleshooting knowledge and experience in various computing devices and mobile gadgets, including upcoming technologies in the productivity spectrum.